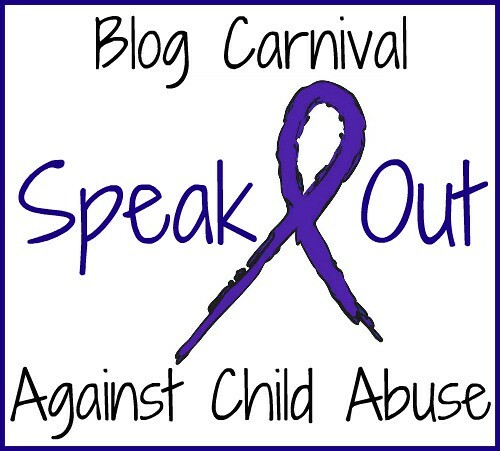 The theme for this month's Expressive Arts Carnival is 6 Word Memoirs. Seeking JOY: I have been on a journey to find joy for over a year now. It challenges me and helps me to look and see things differently. It has touched my family and friends (possibly in part because of the ways it has changed me). Courage Empowers: At the beginning of this year, I claimed the word Courage. I purposed to find courage in big and small moments. Courage fuels my decisions and strengthens me. 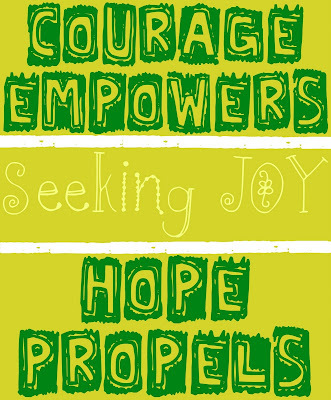 I did not know that these two separate purposes, joy and courage, would converge, but they have...and working beside them is hope. Hope Propels: There have been many dark days in recent months, days when I didn't know how I was going to make it...but there has also been hope. It is hope that I have clung to. It has helped me to continue finding reasons to live, continue writing, and have the courage to continue seeking joy. There is so much wisdom in this. Thank you for sharing it. 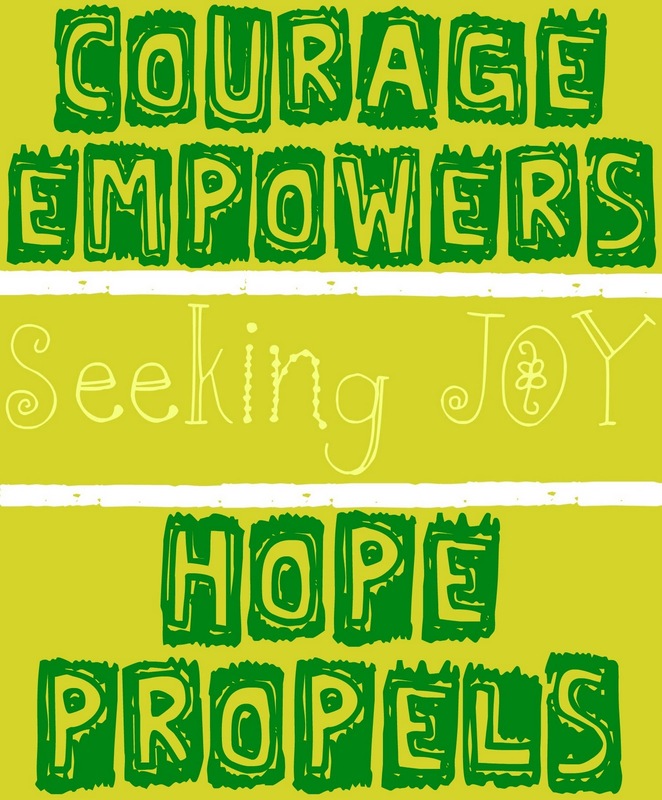 Hope, joy, and courage are something we could all use a little more of. And we often sit and wait for them to come forgetting that we are in charge of making them happen. I LOVE this idea, and I want in. Now you have me thinking of my own six word memoir. I love posts like this! I am currently on a quest for positivity and I found that courage is a part of my positive journey! 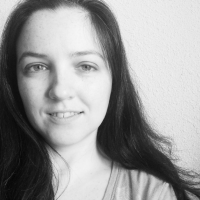 My name is Grace and I blog about my crazy life over at yourdailygrace.com! But my day job is student at UCF and intern at the Orlando Science Center! I actually wanted to offer you a 15% discount on our OSC Membership for you and your family, no pressure just an offer:) Contact me if you're interested! Truly beautiful, Tracie! And how precious that in the course of your own journey you are able to help others find joy, courage, and hope too! You always inspire me, Tracie. Just lovely! Yes, honey,,, you are so right. Without hope, we don't stand a chance. This is stunning... I love the hope it contains, and the positive way you've captured that hope and the power it can hold for ourselves and others. I can almost see you positivity and seeking of joy influencing how your family dynamics are formed... amazing! You have me thinking what my word should be. I like the idea of getting it down to a word or 2 or 6. Courage is my favorite quality. It is so much bigger than it sounds. I need you to convince me to look for a new job. It's hard to put so much into 6 words, but you did it beautifully! You never cease to amaze me. Beautiful! 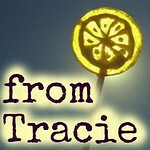 Tracie, This is really wonderful and so inspirational.